While brown spots are typically associated with aging and sun damage, they can also appear as the result of hormones, acne and even genetic history. 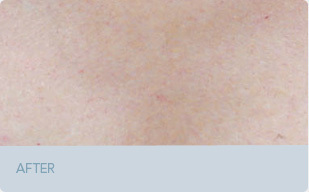 Brown spots usually appear in areas exposed to sunlight, especially on the face and cheeks. Older patients are likely to find them on their hands, chest, and shoulders. Are brown spots the same as hyperpigmentation or liver spots? Sometimes you’ll hear them referred to that way. Brown spots occur when your skin loses its ability to regulate melanin, a natural pigment the body produces to provide skin and hair with color and to offer protection against the sun’s damaging UV rays. With overexposure to the sun, your body works overtime to produce extra melanin. Changes in hormone levels can cause similar overproduction. These changes can ultimately lead to the formation of deposits that permanently color your skin with melanin’s darker pigmentation. Treatment options include fading creams, Chemical Peels and laser treatments. It is possible to decrease or prevent the appearance of future age spots by reducing sun exposure through the use of a high SPF sunscreen, protective clothing and sun avoidance. 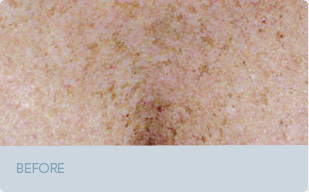 Intense Pulse Light (IPL) treatment is a great way to quickly remove unsightly brown spots. Barba Dermatology has all the tools necessary to treat and prevent brown spots.